(a) Inspect the door lock assembly continuity. 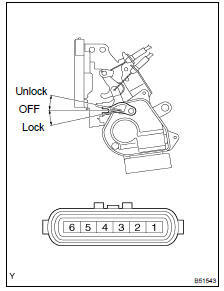 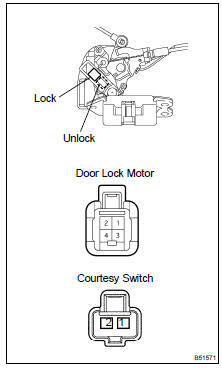 If the continuity is not as specified, replace the door lock assembly. 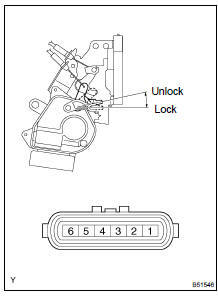 (b) Inspect operation of the door lock motor. 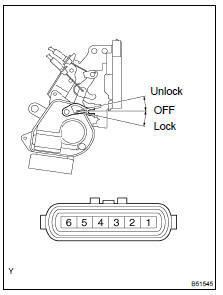 If operation is not as specified, replace the door lock assembly. 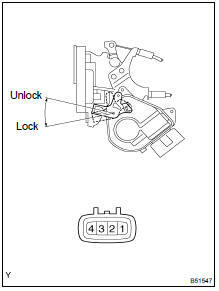 (c) Inspect the position switch continuity. 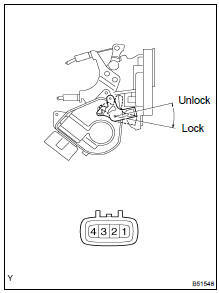 (b) Inspect the position switch continuity.